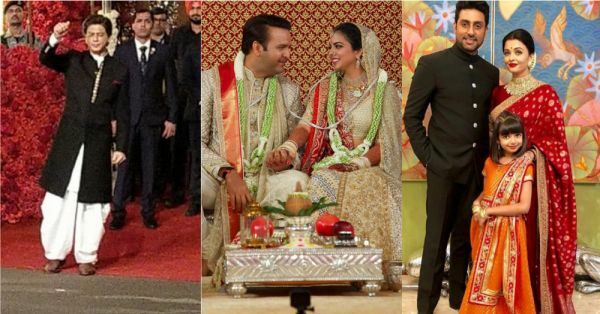 Isha Ambani and Anand Piramal's wedding has been the talk of the town since last week. From Bollywood celebs and international guests to famous sports personalities, it seemed the entire world was hosted Antilia last night. 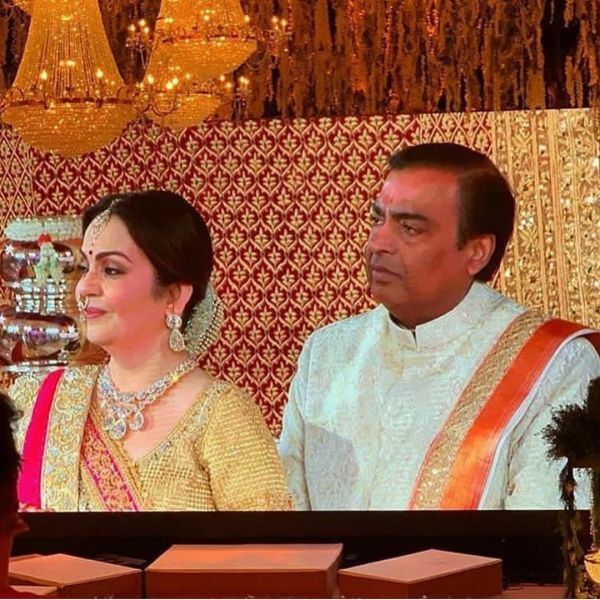 There was no expense spared by Mukesh Ambani for his daughter's big day. Parade dancers lined the streets in a carnival-like fiesta and the Ambani's laid out the grandest of red carpets for the Piramals and their guests. The wedding, as well as the sangeet, felt like a grand awards night with all the glitterati and their spectacular dance performances. So, in a typical awards night style, we are giving away awards to some of the celebrities at the Ambani wedding for some of their best moments. The Highway actress looked every bit the fashionista she is in a blue and white Manish Malhotra lehenga. Name any person who could pull off a simple white kurta and a Nehru jacket combo better, and we'll change it right now. 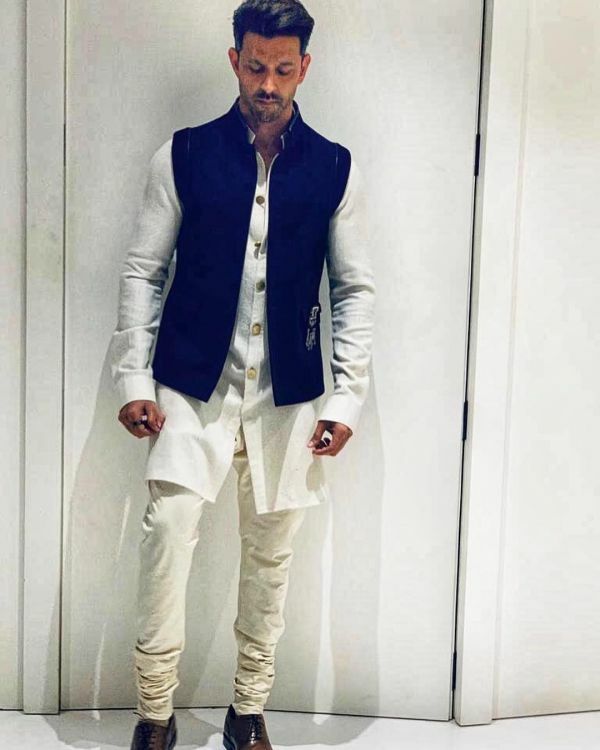 Hritikh switched on his Greek-God mode for this look and made a meal out of the competition. From choosing the best locations, getting Beyoncé to perform to hosting the most elaborate wedding ever (it cost Rs 750 crores! ), Mumma and Papa Ambani take the crown as the best directors. Frankly, who better than to take home this award? It was their big day and everything was all about them. Did you take a look at their 'made-for-each-other' wedding photos? Bebo and the Nawab of Pataudi were oozing royalty at the Ambani wedding. Twinning in their ivory white outfits, Kareen and Saif stole the limelight from the rest of the jodis last evening. Anyone who has seen Ranveer over the last few months will know how much he loves a good party. Be it a sangeet, wedding, reception, birthday or even on the streets, Ranveer is undoubtedly the life of every party. Remember him doing a karaoke to Jumma Chumma De De at the sangeet? 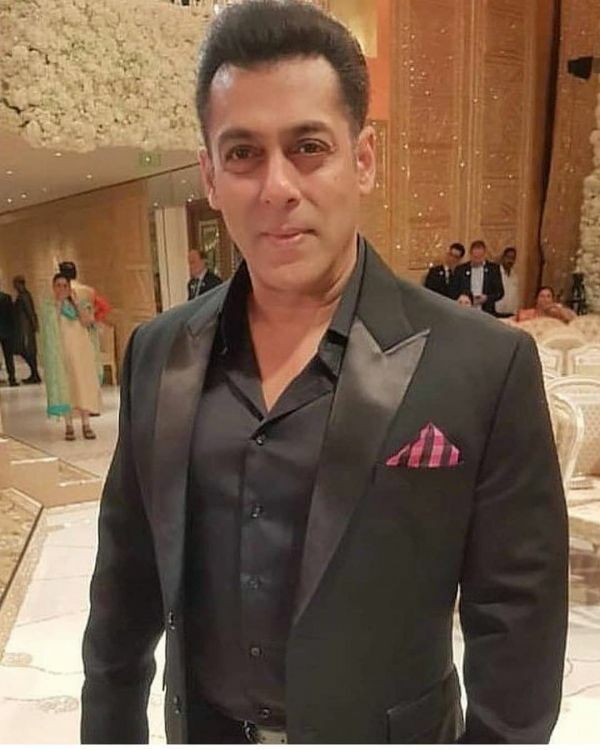 Salman's cameo at the Ambani wedding was a blink and miss. Bhai arrived with much fan-fare and looked like he was heading back to the car as if he had left something behind. It seemed he was just leaving. Wonder what happened there? Mastani takes the award for just being with Ranveer through all his excitement. Deepika also swung a leg with Aishwarya at the sangeet, making it a truly magical moment. 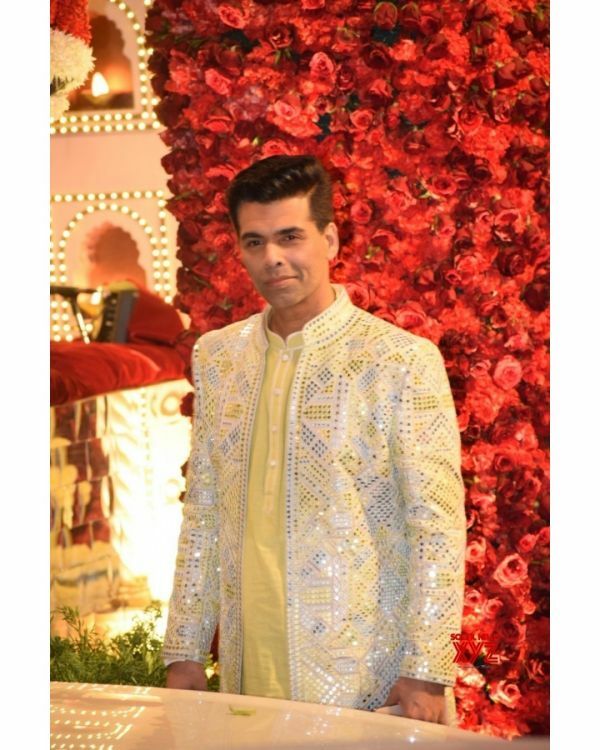 The fashion designer and couturier had some of the best outfits through the wedding and sangeet and consistently brought the best out of every celeb he dressed. Also, he looked the only one to leave the Ambani wedding with a return gift. Aamir is famous for his no-shows at most major award functions (except, of course, the Oscars). But in a first-ever, the Thug turned up on time for the Ambani wedding and sangeet. Maybe this award will break his jinx? 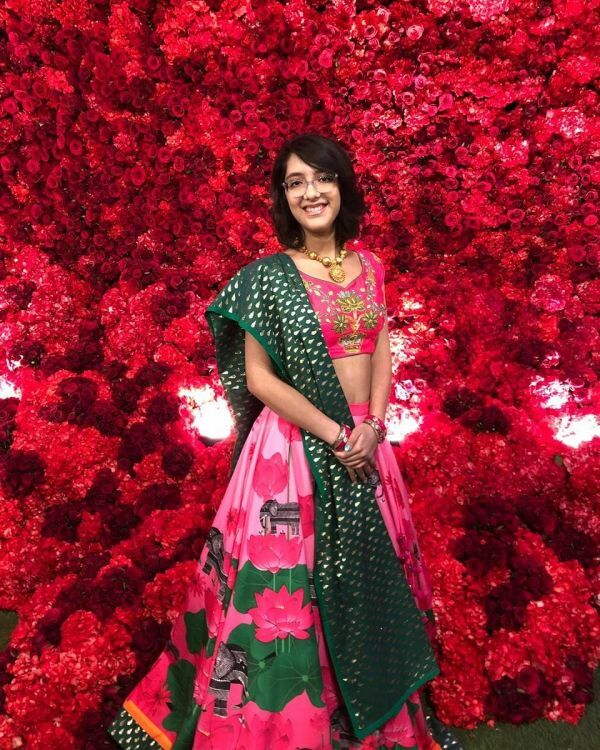 Author Zuni Chopra made her first major appearance at a function and Vidhu Vinod Chopra's daughter looked cute in her pink and green Masaba Gupta lehenga choli. How adorable were these two at the Ambani wedding? This was their first appearance at a function as a couple and they nearly took the best jodi award from Kareena and Saif. Amitabh Bachchan blessed the occasion by reciting a poem by his father as well as translating the vows during the marriage ceremony. Two of India's most revered families were united in matrimony last evening, making it one big, glorious happy family. The West Bengal Chief Minister was another big name personality at the Ambani wedding and the only woman politician at the event, apart from Hillary Clinton. The Koffee With Karan host has not missed a single function this season. Right from being among the first people to wish someone online to being among the last people to leave a party, KJo is omnipresent. Take that, Radhika Apte! Sholka Mehta bags this award easily. The Ambani bahu-in-waiting is all set to join the family and she is already being the perfect partner to Akash Ambani. If you have seen Shilpa at most weddings, you know that the actress is mostly without her hubby Raj Kundra. 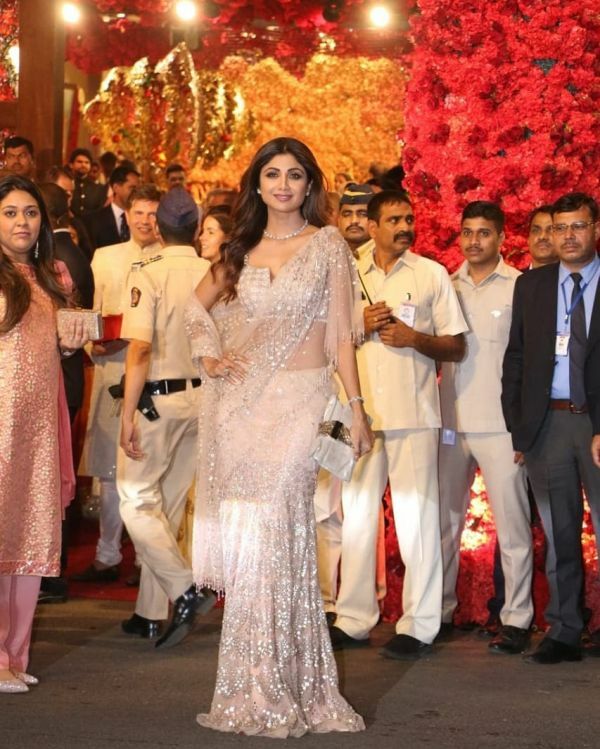 Shilpa stunned the red carpet in a concept saree by Tarun Tahiliani. 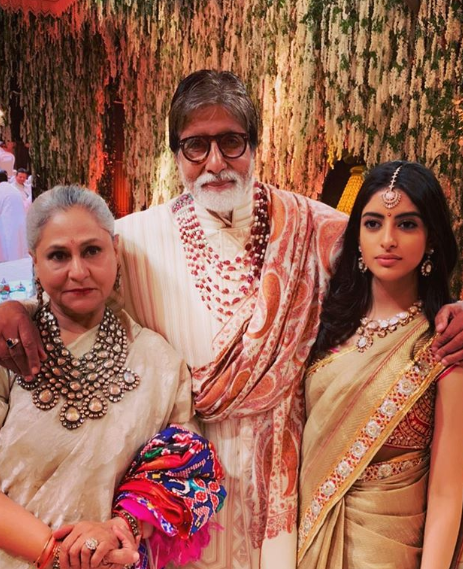 The Bachchan family portrait looked like something out Kabhi Khushi Kabhi Gham, with Jaya Bachchan in her same avatar as the teary-eyed maa waiting from Shah Rukh Khan to jog in through the door. Both Mira and Hazel wore velvet to the Ambani wedding and both looked equally underwhelming in their outfits. We'll just leave it at that. Nita Ambani dethroned Queen B as the star performer at the sangeet. Yes, her solo dance performance was stunning, but nothing beats her swinging to Tune Maari Entriyaan with Hillary Clinton and John Kerry on stage. Bhai's second award for the night is for his performance at the sangeet with Akash Ambani. Ranbir Kapoor was a shoo-in for this award as well, but we could see he was enjoying it more than Salman. Again, it's not Beyoncé. Hillary did everything at the Ambani sangeet and the wedding - posing for shocked selfies, learning a few Hindi words and even dancing on stage with SRK. Who knew the former US Presidential candidate had such a fun side to her? The parade performers would have seriously given the carnivals in Brazil or New Orleans a run for the money with their mindblowing acts. Ambani or no Ambani - here's one person who knows how to arrive in style. Cyrus Poonawalla rolled into town in style in a Rolls Royce and left a few jaws on the ground on the way. The two brothers strode out through the gates of Antilia on horses to welcome guests, and it wasn't even their wedding! Talk about making a statement. 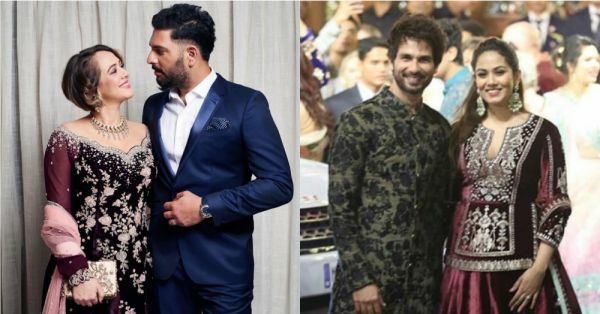 The elder Kapoor sister was third-wheeling through the sangeet with Kareena and Saif. The only moment the two were alone was when they posed for pictures together - only to photobombed by Karisma again. Nope, this is not for Manmarziyaan, which was probably among Abhishek's best films ever. Junior Bachchan takes it for his monotonous dance routine at the sangeet and flooding our timelines again with countless memes for his performance. One thing we can say after this list is that Karisma saare quirky awards le gayi le gayi. Lolo famously pretended that she did not even see Aishwarya at the Ambani sangeet. We could see the tension palpable there. Sorry, DeepVeer fans! We are giving this one to Nickyanka, no questions asked. Just look at the two of them together! 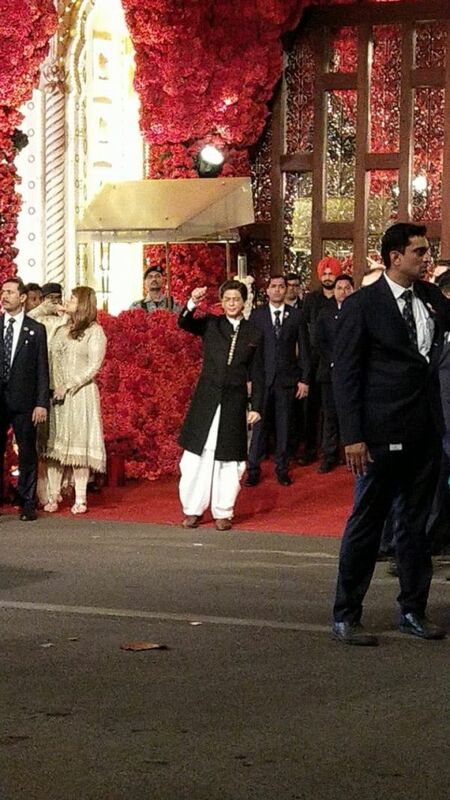 Last, but in no way the least, King Khan was among the last to arrive at the Ambani wedding. SRK was apparently caught up with the promotions for Zero, which is staled to release later this month, and looked his elegant best in a black sherwani. That's our complete list! We would love to give away more awards, but then this list would be too exhaustive, and we have the Ambani reception already lined up. 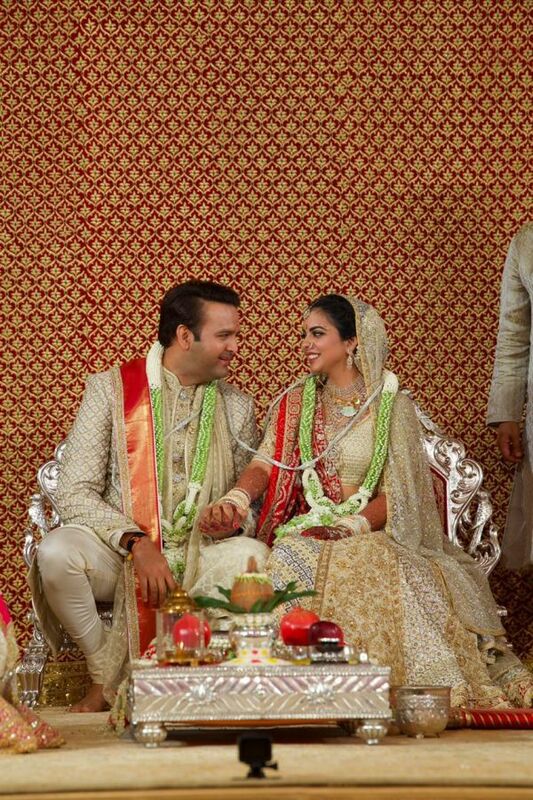 Follow all the latest updates from Isha Ambani's and Anand Piramal's wedding here on POPxo.